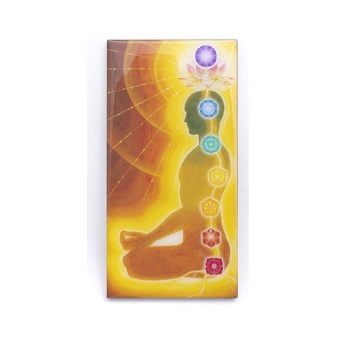 The 7 Chakra print was designed specifically by Ilchi Lee. 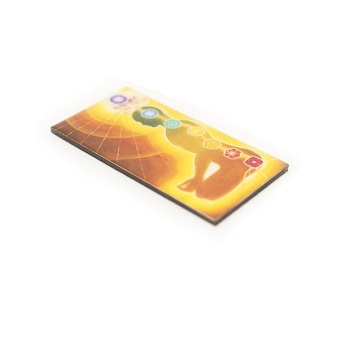 It is covered with sturdy clear plastic with a flat magnetic backing. 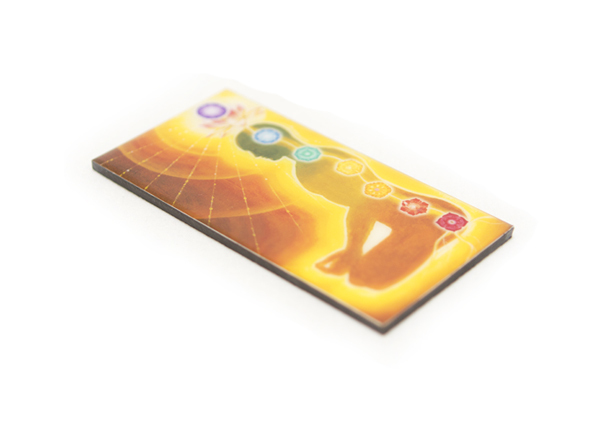 Magnet easily hangs on any metal surface, or place them flat on any surface. Perfect decoration for desk, coffee table or counter top. 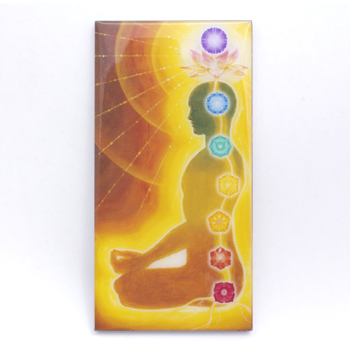 Radiate from your energy centers with the 7 Chakra magnet. Experience spine-tingling beauty every time you look at these beautiful, colorful chakra center illustrations.